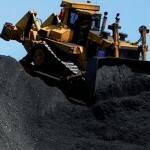 Jobs to go at Premier Coal (0) May 24, 2013 Chinese controlled miner Premier Coal is cutting jobs at its Collie mine. 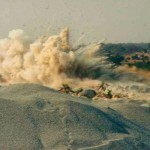 Suicide bombers strike African uranium mine (0) May 24, 2013 Suicide bombers have killed at least 20 people in a French-run uranium mine in northern Niger. 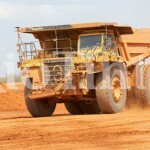 Foreign mining uprooting Mozambique families (0) May 24, 2013 A new report from Human Rights Watch states more than 1,400 families in Mozambique are being moved to allow for Australian and Brazilian coal mining operations. Sell mining know-how overseas: Austrade (0) May 24, 2013 A senior trade official says Australian mining service businesses can overcome the sharp fall in local demand by targeting overseas mining hot spots. 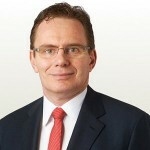 BHP projects in doubt after CEO’s comments (0) May 24, 2013 There is uncertainty over whether BHP Billiton will proceed with its last remaining planned expansion projects after comments from newly appointed chief executive Andrew Mackenzie. Band together to stop mining: Greens (0) May 24, 2013 Greens Senate candidate Adam Stone has called on the Fraser Coast community to step up their fight if they want to stop coal mining in the region. 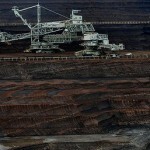 Coal industry leader says eco-activists need to be held accountable (0) May 23, 2013 A coal industry leader claims extreme environmental activists are ideologically driven to destroy Australia’s coal industry but have no commercially reliable and affordable solution to global climate change. Boom time blues as investment hits peak (0) May 23, 2013 A government report has shown the investment stage of the mining boom has possibly peaked. 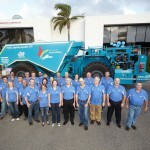 BHP awards SubZero $2m contract (0) May 23, 2013 Mining services company SubZero Group has won a $2 million dozer push works contract at BHP Billiton’s Mt Arthur Coal mine. Improve productivity or face job losses: Cook Colliery (0) May 23, 2013 Workers at Caledon Resources’ Cook Colliery have been given until June 1 to improve mine efficiencies, or face extensive job losses. 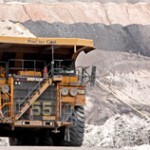 Call for mining companies to publish payments (0) May 23, 2013 A coalition of organisations and individuals is asking Australian mining giants to make mining payments to governments more transparent. 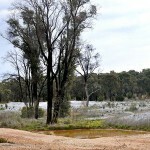 Clean up ordered for Bendigo mine site (0) May 23, 2013 A mine tailings site has received a Pollution Abatement Notice to clean up contaminated sand in the area. 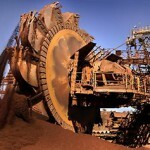 Commodities “supercycle” ending (0) May 23, 2013 Australia’s mining sector is witnessing a sharp rise in the number of projects suffering being put on the backburner, cost blowouts, and the slashing of exploration budgets. 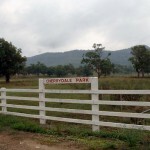 Newcrest cops a legal blow, exploration licence questioned (0) May 22, 2013 A New South Wales court has brought into question an exploration licence held by Australia’s largest gold miner Newcrest. 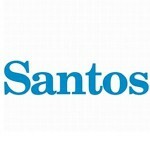 Santos confirms uncontrolled oil leak in Queensland (0) May 22, 2013 Santos has come under fire from environmentalist groups after it confirmed the leakage of 240,000 litres of oil over five days near the Queensland-South Australian border. 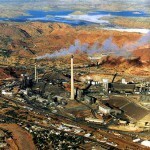 BHP cuts 100 WA jobs (0) May 22, 2013 BHP will slash about 100 jobs across its six Nickel West operations in Western Australia. 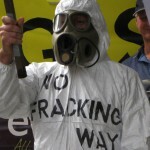 CSG tensions come to blows (0) May 22, 2013 Tensions have boiled over after a scuffle between a coal seam gas protestor and a QGC contractor broke out at a blockade near Tara in Queensland yesterday. Chinese investors flock to Darwin (1) May 22, 2013 The first Australia China Minerals Investment Summit is being held in Darwin this week to help attract business and mining opportunities to the Territory. 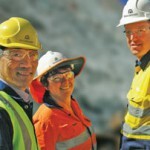 Mining has majority’s support: poll (0) May 22, 2013 A Newspoll survey has shown 96 per cent of Australians believe the mining industry plays a vital role in the economy and 69 per cent view it positively. Legal battles hurting Tasmanian mining (0) May 22, 2013 The Tasmanian Minerals Council has said persistent legal challenges against proposed mines in the Tarkine could repel mining operators from the state. 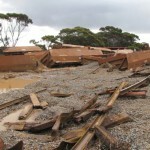 Iron ore train derails in WA (0) May 22, 2013 A freight train carrying iron ore to Esperance Port has derailed, scattering 32 carriages and about 2240 tonnes of the commodity across the tracks. More strikes to hit Newcastle coal terminal (0) May 22, 2013 Workers at Port Waratah Coal Services will strike again this Friday as part of an ongoing industrial dispute. 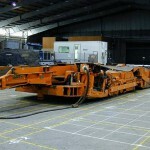 Boart Longyear cuts over 1000 jobs (897) May 22, 2013 Massive cuts across the contract mining sector have come home to roost as drilling service and manufacturing company Boart Longyear slashes over 1000 jobs from its operations globally this year. Freeport mine collapse toll climbs to 21 (0) May 21, 2013 The death toll from a mine collapse at in Indonesia has risen to 21, with rescuers retrieving four more bodies from a collapsed underground room. 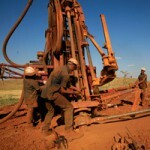 Galaxy Resources cuts salaries (0) May 21, 2013 Lithium miner Galaxy Resources is cutting salaries as it tries to raise nearly $50 million in order to pay debt and boost working capital. 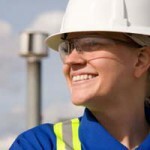 Women make up 15.1% in mining: report (0) May 21, 2013 A new report and strategy paper will be released today to tackle the stereotypes around the nature of ‘women’s work’ in mining, utility and construction sectors. 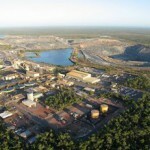 Toro’s uranium mine will struggle financially: report (0) May 21, 2013 An economist has warned that Western Australia’s first proposed uranium mine may struggle to reach development. 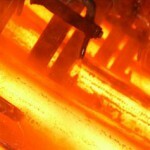 Copper mine to create 200 regional jobs (0) May 21, 2013 The establishment of a Victorian copper mine will create up to 200 regional jobs, Southern Grampians Shire Council says. 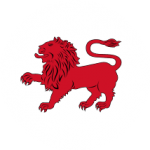 Leighton unfazed by mining slowdown (21) May 21, 2013 Construction company Leighton Holdings said it is not worried about the effects of mining services companies downgrading profit forecasts. Salmon sperm transforms rare earth recovery (0) May 21, 2013 Separating and recovering rare earth materials is a complicated and expensive process, but one Japanese researcher claims he has discovered a low cost, environmentally friendly extraction alternative. 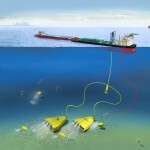 Deep sea mining rush a step closer to reality (0) May 21, 2013 The United Nations has published its first plan for deep sea mining and says companies could apply for mining licenses as soon as 2016. 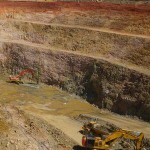 East Java mine in Quantum’s sights (0) May 21, 2013 Hong Kong-based private equity firm Quantum Pacific Capital is taking on the dispute over the ownership of a $5 billion copper and gold project on the Indonesian island of Java. People encouraged to use their ‘Voice for Mining’ (0) May 21, 2013 The NSW Minerals Council has today launched a new initiative to give a greater voice to people who support mining in NSW. 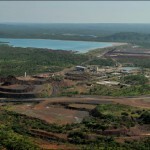 Fortescue awards Solomon contract to Viento (0) May 20, 2013 Viento Group subsidiary Viento Contracting Services (VCS) has won a $15.4 million Fortescue Metals Group contract to build a tailings storage facility for the Solomon iron ore project. 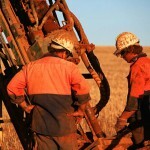 Sponsor more mining students, says Afghanistan (0) May 20, 2013 The Afghan Government will urge Australia to sponsor the training of geologists and mining experts at WA universities in a bid to launch the country’s resources industry. Health and safety on conference radar (0) May 20, 2013 The Hunter mining conference will focus on how best to utilise the newest technology to handle health and safety in the industry. Freeport mine collapse toll climbs to nine (0) May 20, 2013 The death toll from an Indonesian mine collapse has risen to nine as rescuers retrieved the bodies of four more workers. 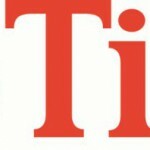 Unions unite to organise Rio’s workforce (0) May 20, 2013 Two of Australia’s largest unions will put aside their differences in an effort to re-unionise Rio Tinto’s iron ore operations. 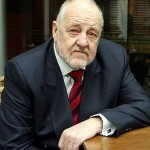 Xstrata chairman John Bond ousted (0) May 17, 2013 There are more casualties coming out of the Glencore-Xstrata merger as the chairman of Xstrata and all former Xstrata directors were cast out of their position. Busting the job myth on mining (0) May 17, 2013 For almost ten years, there have been stories of people getting jobs at the mines and making quick bucks – all with no experience. Farmers say no to CSG in Gippsland (0) May 17, 2013 Mining companies have acquired exploration licences for more than 350,000 hectares of Gippsland and the community is not happy. 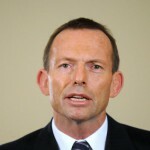 We would scrap mining tax: Abbott’s budget reply (0) May 17, 2013 Opposition Leader Tony Abbott says the Coalition would scrap the carbon tax and the mining tax if it wins the September election. 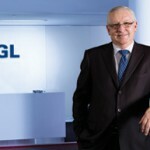 AGL subdues fracking fears (0) May 17, 2013 About 300 people in Gloucester were reassured by senior AGL managers last night extracting coal seam gas was a low-risk industry. 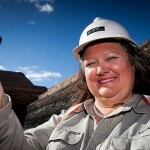 Mining isn’t the government’s ATM: Rinehart (0) May 17, 2013 Mining’s iron lady Gina Rinehart has condemned the government’s reliance on the mining sector, claiming the industry has been used like “an ATM”. 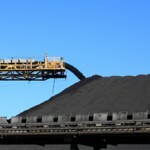 Coal companies pinched by take or pay (0) May 17, 2013 Industry sources have revealed the ‘take or pay’ contract system used to pay for port and rail expansion was ‘killing’ some coal companies. 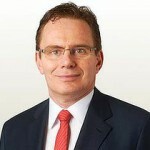 Glencore Xstrata director resigns (0) May 16, 2013 Glencore Xstrata has announced its director Steve Robson has resigned, effective immediately. NT Budget closes two tax loopholes (0) May 16, 2013 The Northern Territory Government will close two tax loopholes, which will generate an extra $10.6 million out of mining cmpanies. 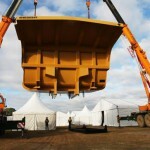 Get in on the boom, Australia tells developing nations (0) May 16, 2013 Thirty ministers from booming mining regions Asia, Africa and the Pacific will attend two conferences in Sydney next week to get the most out of the industry. 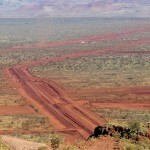 NGOs unconvinced over Mining for Development initiative (0) May 16, 2013 An Australian mineral management initiative is under fire for favouring corporate interests more than developing nations. 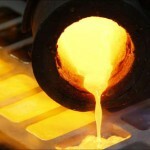 Gold boss turns up the heat on the sector (0) May 16, 2013 The gold price has slumped 26 per cent in 6 months, sending the sector into a frenzy. 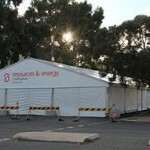 Gina Rinehart talks business at resource conference (0) May 16, 2013 Gina Rinehart will headline an impressive list of guest speakers when the third annual Resources and Energy Investment Symposium starts in Broken Hill on Sunday. 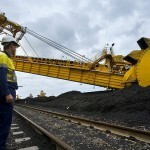 24-hour strikes for Newcastle coal terminal (0) May 16, 2013 Industrial action is set to continue at Port Waratah Coal Services in Newcastle after workers voted for a two-week campaign which could include 24-hour work stoppages. 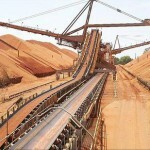 Rio’s bauxite mine in Cape York gets the nod of approval (0) May 15, 2013 Rio Tinto has received environmental approval for the construction of its $1.3 billion bauxite mine expansion in North Queensland. 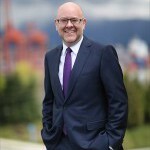 Incitec Pivot first half profit down 23 per cent (0) May 15, 2013 Explosives and fertiliser manufacturer Incitec Pivot has announced a 23 per cent decline in its half-year to March 31 profit. 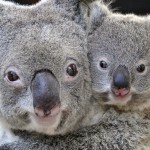 Mining puts pressure on koala numbers (0) May 15, 2013 Mining developments are continuing to put pressure on central Queensland’s koala populations. 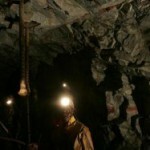 Freeport mine collapse claims two lives, 31 trapped (0) May 15, 2013 Two workers have died and 31 others were trapped after a tunnel caved in at a mine in remote eastern Indonesia on Tuesday. 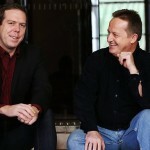 Barminco secures $485m in financing (0) May 15, 2013 Barminco has refinanced its debt after a US$485 million senior note offering. 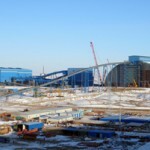 Australian taxpayers partly fund Rio’s Mongolian venture (0) May 14, 2013 Australian taxpayers will assist Rio Tinto fund its Oyu Tolgoi mine expansion project in Mongolia, after Australia’s export credit agency decided to continue lending to multinational companies. 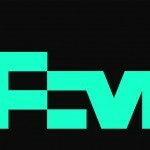 Monax signs exploration deal with FMG (0) May 14, 2013 South Australia-focused explorer Monax Mining has signed a deal with Fortescue Metals Group to complete due diligence on a copper gold project in SA. 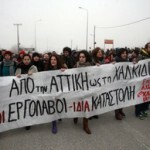 Gold mine protest in Greece leaves 9 injured (0) May 14, 2013 Nine people were injured in Greece over the weekend after police clashed with a group protesting over a gold mining project in the country’s north. 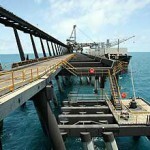 Glencore-Xstrata posts first quarter report (0) May 14, 2013 Glencore Xstrata reported zinc production from the Australian operations was up 11 per cent from 2012. Coal protests continue in the Southern Highlands (0) May 14, 2013 A group of protestors gathered outside Hume Coal’s Moss Vale office to remind the company the community is still opposed to mining in the region. 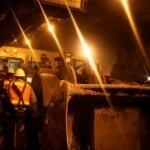 Six-fold profit increase for AngloGold (0) May 14, 2013 AngloGold Ashanti has recovered from major strike action in South Africa to post a six-fold increase in quarterly profit. 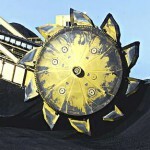 Unstable policy environment hurting mining: Glencore Xstrata (0) May 14, 2013 The world’s biggest mining company says Australia’s coal industry is being ‘smashed’ by an uncertain investment and policy environment. 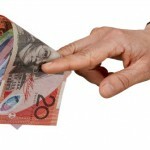 Crackdown on mining tax loophole (0) May 14, 2013 A tax loophole that allows Australia’s richest miners to claim tax breaks for exploration costs could be closed. 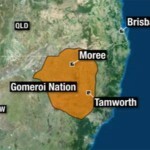 Native Title claimants want to ban mining (0) May 14, 2013 The Gomeroi people of Northern NSW are seeking legal advice on ways to stop all mining and development on their ancestral lands. 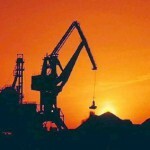 Analysts warn of a mining fuelled recession (0) May 13, 2013 Sudden drops in mining capital expenditure could trigger a recession in the next 18 to 24 months, research conducted by Morgan Stanley suggests. Obeid returns to front ICAC (0) May 13, 2013 Former Labor minister Eddie Obeid today fronted the Independent Commission Against Corruption’s inquiry to give further evidence about mining exploration licences granted in 2008 by former mining minister Ian Macdonald. 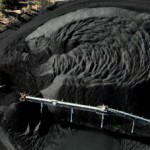 First project dumped under Glencore Xstrata (0) May 13, 2013 Glencore Xstrata have dumped plans to develop a coal export terminal on Balaclava Island, blaming the decision on poor market conditions. 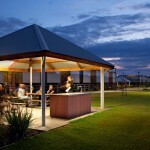 CSG projects to intensify rental pressure: report (0) May 13, 2013 A property report commissioned by the Surat Basin Property Group has found Western Downs communities are under enormous rental pressure similar to Moranbah. 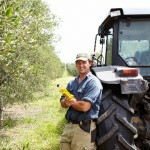 Hunter Valley coal mine producing olive oil (0) May 13, 2013 Glencore Xstrata have launched an ad campaign aimed at showing how mining and farming are able to coexist in NSW. 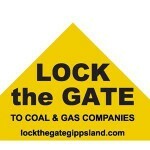 Farmer shuts his door on mining companies (0) May 13, 2013 A farmer in Mole Creek has closed his gates to mining companies who want to carry out mineral exploration or operations on his 486 ha property. 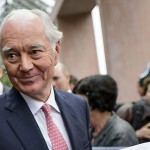 Mining magnates win $200 million lawsuit against Rio (0) May 13, 2013 Two of Australia’s mining magnates and richest women won a $200 million lawsuit against mining giant Rio Tinto over iron ore resources in Western Australia. 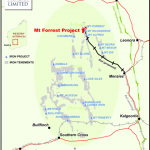 Iron ore development halted as court battle begins (0) May 13, 2013 An environmental group fighting mining in the Tarkine region has won a bid to temporarily halt construction at a proposed iron ore mine. 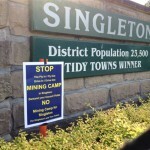 Falling demand puts Singleton mining camp on backburner (0) May 13, 2013 A proposed mineworker’s camp in Singleton, New South Wales will only be built if new mine developments and expansions come online. 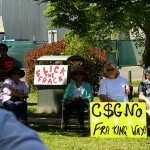 Rio Tinto’s Warkworth appeal backed by government (0) May 13, 2013 The NSW state government has backed Rio Tinto in its appeal to overturn a decision blocking the expansion of its Warkworth coal project in the Hunter Valley. 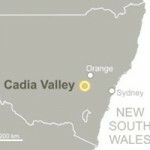 NSW Chinese mine falls short of environmental standards: report (5) May 13, 2013 A contentious mining proposal for agricultural land near the Liverpool Plains in northern NSW has been accused of failing to meet environmental standards. Hunter residents tally mining’s impact (0) May 13, 2013 Over 2500 coal mine blasts have been recorded in the Upper Hunter region last year. 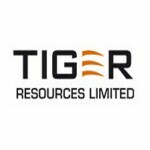 Tiger celebrates 2 million hours LTI free (0) May 13, 2013 Africa-focused miner Tiger Resources has celebrated two million hours of zero loss time injury at its Kipoi Copper Project in the Democratic Republic of Congo. Invensys opens User Conference for Australia and New Zealand Customers (0) May 13, 2013 Invensys Operations Management has opened the 2013 User Conference Fremantle in Western Australia. 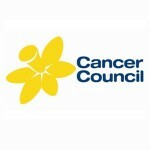 Mining group rejects smoking ban (19) May 12, 2013 The WA Chamber of Minerals and Energy has rejected a move to ban smoking on mine sites despite concern about the high number of smokers in the industry. China mine blast kills 27 (0) May 12, 2013 China’s mining industry has registered another fatal incident, with an accidental explosion killing at least 27 workers at a coal mine in the country’s southwest. 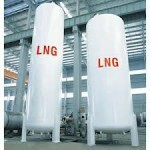 WA to host world’s largest LNG conference (0) May 10, 2013 Western Australia will host the world’s biggest LNG conference in 2016, with 5000 delegates expected to attend the event. 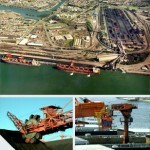 Port staff to strike for four hours (0) May 10, 2013 Workers at Port Waratah Coal Services will take strike action next Wednesday after bargaining meetings with management failed to resolve a 10-month dispute. 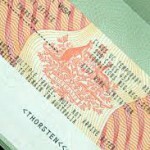 State’s index slip blamed on MRRT (0) May 10, 2013 A senior public servant in South Australia has blamed the federal government’s mining tax for the state’s fall in ranking in a reputed international investment index. 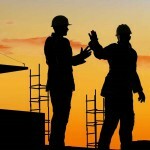 WA unemployment rate rises on the back of mining downturn (0) May 10, 2013 Western Australia’s jobless rate has hit highs not seen since the GFC, with many blaming the downturn in the mining sector. 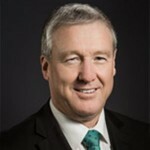 Rio job and asset cuts going ahead (0) May 10, 2013 Rio Tinto’s chief executive Sam Walsh said the company is going ahead with job and asset cuts, with the entire business to be affected. Tony Abbott reveals IR policy, promises better conditions for workers (0) May 10, 2013 Australia’s resource industry employer group has welcomed Opposition Leader Tony Abbott’s workplace relations policy, saying it is a step in the right direction on critical workplace issues. 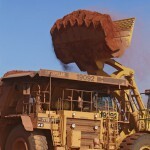 BHP chief flags productivity push (0) May 10, 2013 BHP’s new chief Andrew Mackenzie formally takes the reigns today, announcing new austerity measures for the global miner which will see increased productivity and less investment. Santos CSG comes under fire (15) May 10, 2013 The polarising coal seam gas debate has hit Santos as exiting chairman Peter Coates was repeatedly questioned yesterday by farmers and shareholders at the company’s annual general meeting. 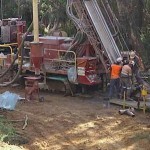 Canadian producer secures Australian explorer takeover approval (0) May 10, 2013 The Federal Court of Australia has approved Canadian gold and silver producer Primero Mining’s acquisition of junior explorer Cerro Resources. 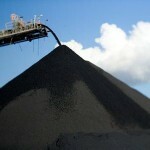 Report shows mining’s contribution to Tas economy (0) May 9, 2013 A report commissioned by the Minerals Council has shown only five companies are producing nearly half of Tasmania’s exports. 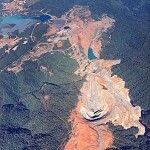 Time-lapse satellite views of mining projects (0) May 9, 2013 Google has released new time-lapse satellite images of the world. 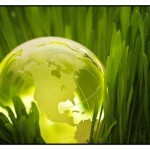 New iron plant uses biomass fuel (0) May 9, 2013 A new iron plant has been given the go ahead, using green technology the facility is expected to produce 100,000 metric tonnes of iron nuggets per year. 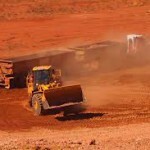 BHP on track with Jimblebar expansion (815) May 9, 2013 BHP Billiton says its plan to expand the Jimblebar mine in the Pilbara is on track and will be completed by the first quarter of 2014. 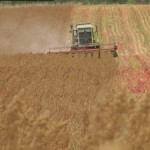 Mining’s loss is agriculture’s gain (0) May 9, 2013 The agricultural industry has competed and battled with the mining industry for years but it looks like agriculture is making a comeback. 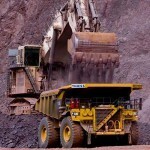 QLD mining industry urges against tax rises (0) May 9, 2013 Queensland’s mining sector is urging the Newman government to not raise taxes or charges in next week’s budget, claiming it will hurt the industry. Miners boost share market (0) May 9, 2013 The Australian Stock Exchanged yesterday closed at a five year high on the back of higher than expected Chinese trade data which rallied mining stocks. Statewide alert after Moranbah miner contracts measles (0) May 9, 2013 A state-wide alert has been issued after a central Queensland mine worker contracted measles. 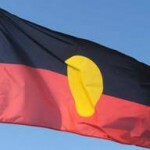 Bandanna to go ahead with Bowen Basin (0) May 9, 2013 Mining company Bandanna Energy said it will proceed with a coal project in central Queensland’s Bowen Basin despite a slowdown in the resources sector. 32 workers cut at mine equipment company (0) May 9, 2013 Mining manufacturer Joy Mining has cut 32 workers from its NSW plant, blaming the recent downturn in the industry. Mining companies argue over who’s at fault for injured worker (0) May 9, 2013 Two mining companies are arguing over the liability for a worker who was injured after a wall collapse on a Blackwater mine site. 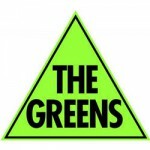 Tasmanian deputy premier downplays mining-environment tussle (0) May 9, 2013 There are rumblings in Tasmania the environment movement is changing its focus from the forest sector to mining after the State Parliament passed the forest peace deal law. 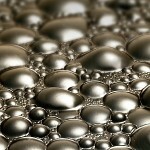 Shale gas exploration in Australia could boost manufacturing: Resources minister (0) May 9, 2013 Gary Gray, the recently-appointed federal minister for resources, has commented that the development of the shale gas industry in Australia could lead to a massive boost for Australian industry. 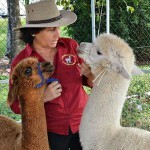 Upskilling indigenous workers for resources sector (0) May 8, 2013 Energy Skills Queensland has initiated targeted training programs for the indigenous community to work in the booming resources and energy sector. Miners to foot clean-up costs (0) May 8, 2013 The NT Government has come under fire for its plans to introduce a new levy on miners which is estimated to raise more than $6 million a year. 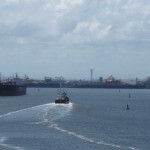 Australia not Bangladesh: unions to take action over enterprise agreement (0) May 8, 2013 Unions Port Waratah Coal Services say industrial action will take place on Sunday if meetings today with management fail to resolve a ten month dispute. 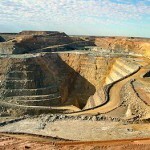 Change mining tax for small miners, says Labor MP (0) May 8, 2013 A member of Prime Minister Julia Gillard’s government has asked for changes to the minerals resource rent tax after blaming it for burdening small miners. 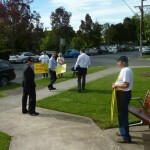 Mounting opposition to mining camp (0) May 8, 2013 Opposition to a proposed $101 million mineworkers’ camp in Singleton, New South Wales, is growing. 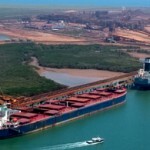 Port Hedland iron ore exports on the rise (0) May 8, 2013 Iron ore exports from Port Hedland rose 4% in April, as shipments to Taiwan more than double. Victoria commits to mining (3) May 8, 2013 In the wake of Victoria’s latest state budget, the government has surprised pundits by committing itself to mining in the state. 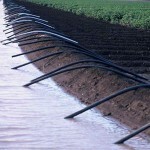 Cotton and mining cannot share land (0) May 7, 2013 New research claims underground mining and irrigated cotton growing may be unable to share land. 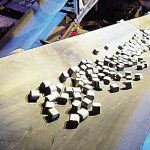 Sandvik closes facility, cuts jobs (5) May 7, 2013 Sandvik has announced the closure of its hard materials facility in Mayfield, as well as the cutting of 26 jobs. 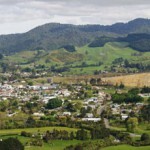 Mining underneath homes given the go ahead in New Zealand (0) May 7, 2013 A new underground mine has been approved for Waihi East in New Zealand, giving miners the go ahead to mine gold and silver beneath local homes. 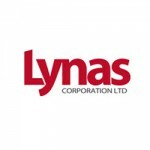 Malaysian election pushes Lynas shares up (0) May 7, 2013 Shares in Australian rare earths miner Lynas Corporation have risen following the re-election of Malaysia’s coalition, reducing uncertainty around further regulatory hurdles at its controversial plant. NT slugs miners with new levy (147) May 7, 2013 Fears of a Labor-style mining tax debacle have been prompted after miners operating in the Northern Territory say they have been “sprung” with a new levy. 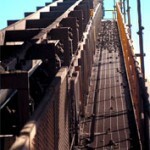 Whitehaven ramps up coal production (0) May 7, 2013 Whitehaven Coal have announced record monthly coal railings for April as the company ramps up production and its Narrabri mine. 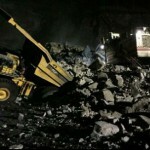 Anglo American coal mine shuts as wall collapses (0) May 7, 2013 Anglo American has been forced to halt operations at its Dawson coal mine following a wall collapse. 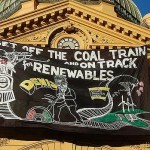 Anti-coal protesters target Melbourne’s CBD (0) May 6, 2013 Protesters unfurled a giant banner at Melbourne’s Flinders Street railway station this morning calling for an end to Australia’s coal industry. 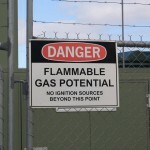 Troubled explosive manufacturer records profit jump (0) May 6, 2013 Mining service and chemicals company Orica has today announced a half year profit increase to $267 million, up 6 per cent compared to the same time last year. 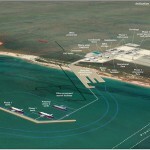 Osmoflo wins desalination contract for Xstrata Coal’s Ulan mine (0) May 6, 2013 Desalination technology provider Osmoflo has won a $12 million contract to design, manufacture and commission water conditioning and desalination facilities for mining giant Xstrata Coal. 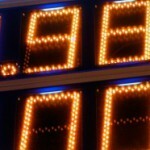 Mining tax forecasts slashed (0) May 6, 2013 Earnings for the Federal Government’s mining tax have again been revised down, with the latest figures predicting it will only raise $800 million. 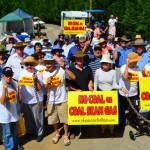 Blockade ends as coal company wins land access case (0) May 6, 2013 Protestors have ended their blockade of a lane in the NSW Southern Highlands after a court granted Hume Coal access to a property via the road. Unions fight for roll over protection (0) May 6, 2013 The CFMEU have lodged an application to appeal the use of light vehicles on mine sites that do not feature roll over protection. 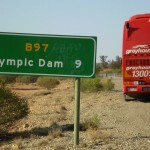 Earthquake shakes Olympic Dam (0) May 6, 2013 BHP Billiton’s Olympic Dam was on Thursday evacuated as a result of an earthquake. 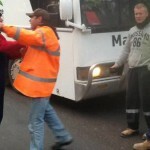 Downer sacked locals in favour of foreign workers: union (0) May 6, 2013 The CFMEU have accused Downer EDI of abusing 457 visas, claiming the company sacked 100 Australian workers while retaining foreign staff. 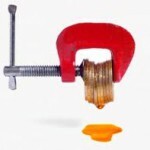 Information and misinformation: SNF vs BASF in Rheomax ETD stoush (0) May 6, 2013 SNF says a press release from BASF last month was misleading and deceptive. Giddings hits back at Barnett, blames mining for weakness (0) May 6, 2013 Tasmanian Premier Lara Giddings has hit back at Colin Barnett’s criticism of her state’s economy, and blamed the mining boom for contributing to weakness in other parts of the country. 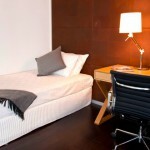 New Glencore-Xstrata CEO doesn’t believe in work/life balance (0) May 6, 2013 Ivan Glasenberg, CEO of the newly merged Glencore-Xstrata, says he does not believe in work/life balance. 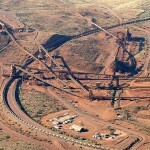 Rio Tinto to cut more Aussie jobs (0) May 6, 2013 Rio Tinto CEO Sam Walsh says the company will have to cut more jobs in Australia in order to save $US5 billion by 2014. 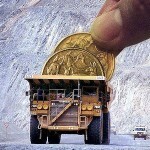 MCA have slammed plans to impose two new taxes on resource sector (0) May 3, 2013 The federal government is expected to announce two tax changes that will affect the mining sector as it tries to plug a $12 billion hole is this year’s budget. 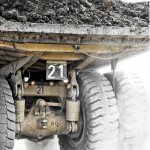 Worley Parsons wins $92.5 million iron ore contract (0) May 3, 2013 WorleyParsons has won a $92.5 million contract for the development of the Kami Iron Ore project in Canada. 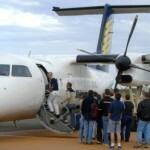 FIFO women mentally stronger (2) May 3, 2013 Women cope better than men when it comes to living the FIFO lifestyle, new research reveals. 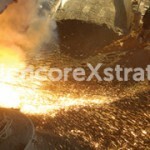 Huge job losses expected as Glencore-Xstrata merger done (0) May 3, 2013 After some delays and missed deadlines, Xstrata merged with the Swiss commodities trader Glencore Group overnight, forming a resource giant under the name of Glencore Xstrata plc. 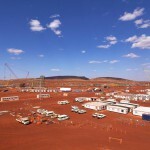 Lower debt to stem rising costs: FMG (0) May 3, 2013 Fortescue Metals Group CEO Nev Power says the company’s plans to pay off loans and restructure debt will be more than enough to offset rising costs in the industry. 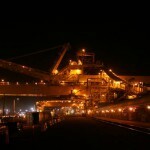 Government warns Aussies to avoid Freeport mine (0) May 3, 2013 The Department of Foreign Affairs and Trade has warned Australians to take extra care if travelling around the Freeport mine in Indonesia, following rising tensions on site. Coal terminal workers to take industrial action (0) May 3, 2013 Union members working at Port Waratah Coal Services have voted to take industrial action as pay negotiations come to a stand still. 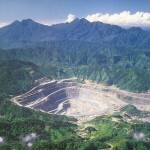 Rio mine clean-up estimated to cost over $1billion (0) May 3, 2013 Rio Tinto’s Bougainville copper mine has been deemed economically viable and could be reopened in the next six years, a subsidiary of the company has said. 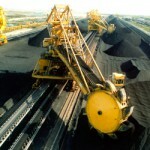 State’s planning system hurting coal industry (0) May 3, 2013 The NSW Minerals Council CEO Stephen Galilee has accused the state’s planning system of damaging the coal industry. 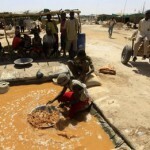 Gold mine collapse kills 60 in Darfur (0) May 3, 2013 A desert gold mine collapse has killed more than 60 people in Sudan’s Darfur region on Monday. 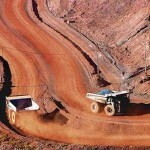 Xstrata investigates ground movement at copper mine (0) May 3, 2013 An investigation is under way after unexplained ground movement was recorded at Mount Isa Mines. Good and bad mine blasts: Video (0) May 2, 2013 Compiled footage showing the huge difference between good and bad mine blasts. 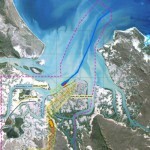 T4 coal loader in doubt amidst coal downturn (0) May 2, 2013 Hunter Valley miners have told Port Waratah Coal Services that the amount of coal they handle will drop, again putting the T4 loader on Kooragang Island in doubt. 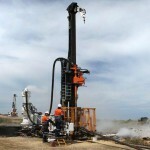 Doray starts underground mining at Andy Well (0) May 2, 2013 Doray Minerals announced the start of its underground development and mining at the company’s Andy Well Gold Project in Western Australia. Extra safety inspectors for WA mines (0) May 2, 2013 Additional safety inspectors will be hired to monitor the troubled mining industry in Western Australia, the WA Government announced. 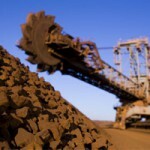 Tas premier upbeat on iron ore mine future (0) May 2, 2013 The Tasmanian premier and a prominent national union head is propping up the future of the state’s mining industry. Gloucester community gets mine update (0) May 2, 2013 Gloucester residents will get an update from Gloucester Council on what is happening to mining in the shire in a community meeting tonight. 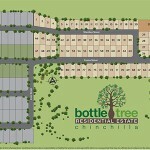 More vacant rooms as mining boom slows (0) May 2, 2013 The slowing mining industry is being blamed for a falling demand in short-term accommodation in Queensland with some areas seeing a 19.4% revenue fall. 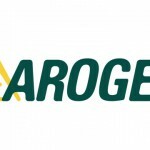 Arogen family feud fires up (10) May 2, 2013 Family infighting at directional drilling company Arogen has left more than 100 Hunter Valley business millions of dollars out of pocket. 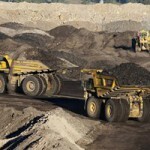 Mining slowdown could impact economy, report warns (0) May 2, 2013 A new report has warned slowing investment in the mining sector could stagger the Australian economy after more than $30 billion of planned project were abandoned in the March quarter. 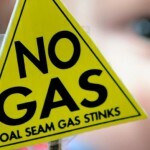 Anti-gas activists “deliberately misinform” (0) May 2, 2013 Thousands of jobs and billions of dollars of investment are being risked by a small group of protesters who “deliberately misinform” the public, BG Group Australia chairman Catherine Tanna says. 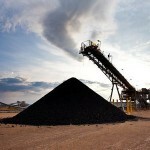 New Hope plans coal to diesel trials (0) May 2, 2013 New Hope is planning on securing an alternative fuel supply for some of its operations by building a coal to diesel plant at the Jeebropilly mine in Queensland. 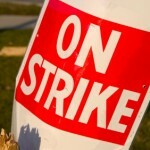 Freeport’s Indonesian workers on strike (0) May 2, 2013 About 1,100 workers have gone strike at Freeport-McMoRan’s Indonesian mine, demanding improved pay, the US firm said on Wednesday. Bite size approach to Australia’s energy issues (0) May 2, 2013 Origin Energy have launched an advertising blitz aimed at educating the public about Australia’s energy industry by handing out lollies at train stations across the country. 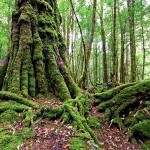 Tarkine environmentalist receives death threats (0) May 2, 2013 Greens candidate and environmental campaigner Scott Jordan has received death threats over Facebook, as the battle over mining in Tasmania’s Tarkine continues. 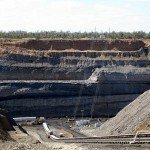 Colton mine postponed, deadline moves to August (0) May 2, 2013 The Colton mine in southern Queensland faces more delays after the deadline for tendering a new environmental management plan was pushed back until August. LNG companies help fund student training programs (0) May 2, 2013 Gladstone’s four LNG companies will provide nearly half a million dollars in funding to provide workplace training for students. Court clears way for liquidators to sue Tinkler (0) May 1, 2013 Liquidators are free to sue Nathan Tinkler for allegedly allowing one of his companies to trade while in receivership. Junior on track to deliver new mine (0) May 1, 2013 Northern Territory miner Sherwin Iron is on track to move forward with its Roper River iron ore mine, which will create an extra 400 jobs in the state’s north. Summit to strengthen Chinese resource investment ties (0) May 1, 2013 Explorers, miners and manufacturers will have a chance to partner with Chinese investors in a forum co-hosted by the South Australian and Northern Territory governments. 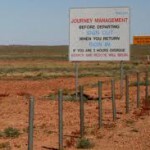 Sackings were necessary: Perilya boss (0) May 1, 2013 Perilya says its decision to sack 17 workers from its Broken Hill operations was a necessary response to tough economic conditions. 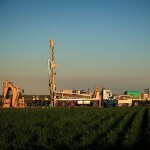 Mereenie gas fields receives $100 million expansion approval (0) May 1, 2013 The Northern Territory Government has granted approval for Santos’ $100 million drilling program at the Mereenie Gas Fields in Central Australia. 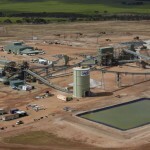 Focus closes gold mine, paints dim outlook for industry (0) May 1, 2013 Junior miner Focus Minerals has announced plans to halt operations at its Laverton Gold project due to rising costs and falling commodity prices. 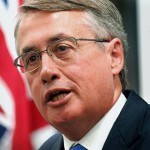 Unemployment will rise as mining jobs go: Wayne Swan (0) May 1, 2013 Wayne Swan is warning the unemployment rate is set to rise as some mining jobs disappear. 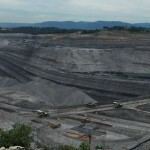 Rio applies to speed up bid for Warkworth project (0) May 1, 2013 Rio Tinto has applied to the NSW Supreme Court to accelerate its bid to overturn a decision blocking the extension of its Warkworth coal project in the Hunter Valley. Wollongong eligible for millions in mining grants (0) May 1, 2013 Wollongong could receive millions of dollars in funding after it was found to be significantly “indirectly affected” by mining. 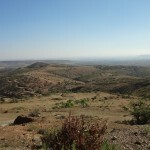 New research into air and water quality in mining regions (0) May 1, 2013 New research is underway to develop new guidelines to assess air and water quality in mining regions. 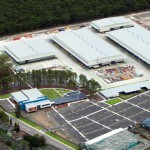 Windarra nickel mine to reopen (3) April 30, 2013 Andrew ‘Twiggy’ Forrest’s Poseidon Nickel will reopen the Windarra nickel mine in Western Australia. Queensland underground mine safety advances (0) April 30, 2013 SkillsTech Australia has opened its new underground mine safety training facility in Queensland . Research to support FIFO/DIDO families (0) April 30, 2013 The mining boom has changed the way of life for working parents in Queensland as they now face new challenges in raising their families. 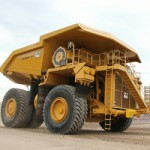 Queensland uni takes mining solutions to Latin America (0) April 30, 2013 In a bid to work closer with the mining industry, the University of Queensland’s commercial arm JKTech has established a new office in Santiago, Chile. Blast fume complaints fall in Upper Hunter (0) April 30, 2013 Blast fume complaints have fallen in the Upper Hunter after the Department of Planning and Infrastructure approved a strategy to deal with blast fumes. 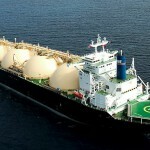 Woodside confirm floating LNG option (0) April 30, 2013 Woodside have confirmed they are looking to develop their Browse LNG project with a floating gas processing operation. 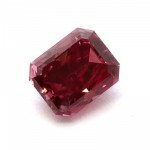 Private equity considers Northparkes purchase (0) April 30, 2013 Private equity company KKR & Co. is considering a bid for Rio Tinto’s majority stake in Northparkes copper-gold mine. Rio to halve London HQ workforce (0) April 30, 2013 Anglo-Australian miner Rio Tinto plans to almost halve the size of its London head office. 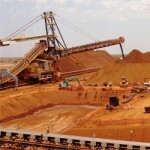 NRW wins $180 million Rio contract (3) April 30, 2013 NRW Holdings has won a $180 million contract at Rio Tinto’s Nammuldi iron ore mine in the Pilbara. 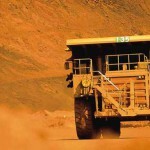 Mining giants make first mining tax payment (0) April 30, 2013 After almost a year of the Gillard government’s mining tax being in play, Rio Tinto has made its first payment. $38.3 million Mining and Engineering centre at TAFE begins (0) April 30, 2013 Construction has begun at the new $38.3 million Mining and Engineering Centre for TAFE SA at Regency Park.